This article is 2573 days old. A two car rollover, followed shortly by another accident on the EC Row Expressway has sent two people to hospital. 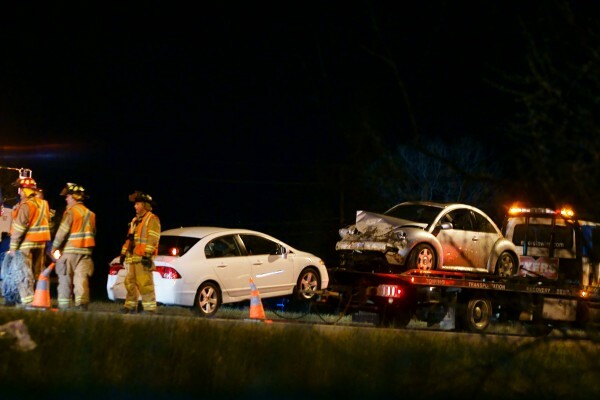 Around 9pm, police, paramedics and firefighters responded to the EC Row Expressway at Central Avenue for two cars in the ditch. Both occupants were alert but according to crews, were complaining of neck and shoulder pain when emergency crews arrived. Minutes later, emergency personnel witnessed a second crash in the same area as traffic scrambled to make its way down EC Row. Windsor firefighters were able to close EC Row to traffic by parking a fire truck across two lanes while two patients were taken to the hospital for examination for minor injuries. EC Row is now open to traffic again.